Because of your interest in children’s museums, Child embarked on the nation’s first-ever survey to uncover the best of the best, working with advisers to find — define, even — what sets the top institutions apart. We sent a 44-question survey addressing issues such as quality of exhibits and programming, availability and experience of staff, and comfort factors like food service and diaper-changing stations to over 200 ACM members. What we discovered was amazing — museums where kids can work with dinosaur fossils, host a television show, or design a roller coaster. You’ll find the top 10 museums here — plus the 40 runners-up and details about the survey. Fills 365,000 square feet of gallery space — the largest in our survey — with 14 major exhibits, such as “Bones: An Exhibit Inside You,” where children can build a skeleton, shop for calcium-rich foods, and walk through a giant model of a bone enhanced with fiber optics. 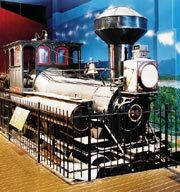 Displays more than 10,000 artifacts (just one-tenth of its collection), including a 55-ton steam engine, a working 1927 carousel, and a 33-foot-tall waterclock, the largest in North America. Boasts 36% of employees with degrees in early childhood education. Holds classes and camps, featuring circus and space themes, in its 185-acre nature preserve. Offers a 130-seat planetarium with programs that teach kids how to identify stars, planets, and other highlights of the solar system from their own backyard. The fossil, a juvenile dinosaur named Bucky, will be one of the centerpieces of the museum’s $25 million, 8,000-square-foot “Dinosphere: Now You’re in Their World” exhibit, which is under construction. Featuring misty ponds, a wide variety of greenery, and a state-of-the-art sound system to pipe in noises from the period, the exhibit will immerse kids in the Cretaceous era of 65 million years ago. In addition to a dozen fabulous galleries — including an art studio and an outdoor eco-station where children can create a nature journal — The Children’s Museum of Houston (CMH) also features multicultural exhibits and programs. For instance, in “Yalálag, a Mountain Village in Mexico,” kids can explore a replica of a real Oaxacan village — shopping in the mercado (open-air market), making tortillas in the kitchen, and learning Spanish and Zapotec words in the schoolhouse. Plus, many of the museum’s Wonder Weekends include cultural themes such as the Chinese New Year celebration on February 9 and 10. The special project that day: Kids can make hats to ring in the Year of the Horse. Created the award-winning “Arthur’s World” exhibit, where kids can role-play, read, or write in the character’s favorite settings, like the Read Family Kitchen. Has a stage like one in an opera house, where visitors 2 to 6 can perform. Operates The Minnow, a life-size lobster boat that lets kids dress up as sailors. Teaches children about Japanese culture in a two-story silk merchant’s home. Features an extensive doll and dollhouse collection. One of the few museums with many activities for toddlers and preschoolers — there’s a special version of the facility’s rock-climbing wall just for 3- to 5-year-olds, a treehouse with hidden pathways, and a red car with a radio that plays Elmo’s version of the Beatles’ hit, “Baby, You Can Drive My Car” — The Children’s Museum, Boston (CMB) makes sure its youngest visitors enjoy their trip as much as their older siblings do. Most of the activities for younger kids, including infants, are found in the museum’s 4,500-square-foot PlaySpace area, which the museum recently redesigned based on the latest research in early childhood education. A new feature: a Messy Sensory Station where toddlers can dig “treasure” such as balls out of shaving cream. “The kids don’t realize this, but by using plastic scrapers and other tools to find the treasure, they’re developing the fine-motor skills that allow them to grip a pencil and start writing,” says PlaySpace coordinator Tim Ireland. Features KidWorks, a three-story treehouse where children can crawl through tunnels, cross a narrow rope bridge, and play in a room full of balls. Teaches kids to make a papier mâché balloon that resembles the museum’s HiFlyer hot air balloon. Hands out PD Kid Club communicators, wireless devices that make the exhibits even more interactive. Houses Exploration Center, a library branch with over 3,000 books, Internet access, and sing-alongs. One of the nation’s newest children’s museums, Port Discovery aims to bring kids’ dreams to life. In some exhibits — like the new HiFlyer hot air balloon, which gives children a 15-minute ride above the city’s family-friendly Inner Harbor area — the message is quite subtle. “The HiFlyer is a metaphor for children reaching for the stars,” says Alan Leberknight, chief executive officer. More obvious examples include the R&D DreamLab (kids can construct any project) and The Dream Squad (characters inspire kids to make their wishes come true). Features a planetarium where kids can pretend they’re astronauts. Conducts live broadcasts on a local CBS station from the Kids News Studio. Offers a Tot Spot area with a 5-foot-wide, 4 1/2-foot-high custom-made dollhouse. Allows kids to climb floors on a spiral staircase featuring a giant mouse-hole maze. Boasts 25% of employees with a degree in early childhood education. Children’s museums aren’t just about play. And that’s amply evident at Discovery Center, which aims to educate kids in the “science of fun.” More than half of its exhibits bring the subject to life for preschoolers and school-age kids. Once children tackle the indoor exhibits, they can head out the back door to Rock River Discovery Park for dozens more fun and educational activities such as operating a waterwheel and using the Whisper Dish system — a set of two 6-foot-wide satellite dishes — to send secret messages back and forth to each other. Features a new 1,700-square-foot Totally Tots area, where little ones can enjoy adventures in the Baby Patch, Sand Spot, and Peek-A-Boutique. 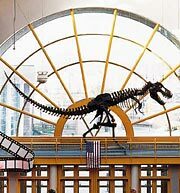 Holds nearly 27,000 cultural and natural history objects, including dinosaur footprints, shadow puppets from Indonesia, and meteors. Operates a greenhouse, where kids can don an apron and use a magnifying glass to see how plants grow and dig for worms in a compost bin. Schedules plays, concerts, and many other performances during the summer months in its rooftop theater. Offers the award-winning Museum Team program, which allows children as young as 7 to visit the museum unaccompanied by an adult and participate in artist and science residency programs, peer tutoring, and other educational activities. Founded in 1899, the Brooklyn Children’s Museum — the world’s oldest — is still keeping pace with its much younger (and flashier) counterparts. The key: charm. You enter the building, located underground in the side of a hill, through an authentic 1905 New York City trolley kiosk. Then you pass through the “People Tube,” which connects the four exhibit floors — and opens kids to a world of wonderful opportunities. In the “Together in the City” exhibit, for instance, kids can make a pizza, produce a movie, and sing a rap song; in “Animal Outpost,” they can pet rabbits, frogs, and even snakes. Over in the “Music Mix” center, children can play a wide variety of instruments such as South American steel tom-toms, Asian steel drums, and African xylophones. The bottom line: “We want kids to experience the real thing, rather than a picture in a textbook,” says Carol Enseki, president. Created the “Can You Tell Me How to Get to Sesame Street?” exhibit, which has dozens of interactive components such as driving Elmo in a taxicab, working the cashier’s drawer at the Square Cinema ticket booth, and going on camera with the famous characters. Displays more than 500,000 objects from the 1820s onward, including 5,000 dolls. Allows kids to view old TV and movie clips and check out historic sports gear and clothing in its “TimeLab” exhibit. Features the circus-themed “Count Me In” Children’s Theater where kids can learn concepts related to numbers and sorting to improve their math skills. Operates an authentic 1956 diner and a 1920s-style soda fountain so that families can enjoy a meal or a snack together without leaving the museum. On every level, the customer service is impressive — private “guest rest” stations where moms can breastfeed or just take some time out with their kids are sprinkled around the museum. The staff also provides complimentary diapers and even changes of clothing for small mishaps. Operates Habitot, a large area where curious visitors 6 months to 4 years old can safely creep, cruise, and crawl through four kid-friendly Minnesota habitats — the prairie, the pond, the forest, and the bluff caves. Schedules special environmental programs that include live animals, crafts, singing, and storytelling. Houses a Korean restaurant where kids can pretend they’re the owner, chef, server, or patron. Holds an Inventor’s Workshop on weekends; recent themes include “sticky stuff” and “soft and fuzzy materials”. Features “World Works,” an exhibit where kids can make giant waves at a wild water table, use a crane to construct a building, and turn a gooey mess into paper art. Many of the exhibits, says Rhodes, are designed to inspire learning through role-play. In “Earth World Gallery,” kids can don ant suits and crawl through the mazelike tunnels and chambers of a giant anthill, meet live turtles, play in a stream, and create a thunderstorm with movable clouds. Upstairs at “The Amazing Castle,” children can pretend to be Lords and Ladies, hone their carpentry skills in Royal Workshops, and wake up Herald, the sleeping dragon. And coming in August: Kids can try their hands at puppeteering Miss Piggy, Kermit the Frog, and the rest of the Muppets live on-screen at the “Vision of Jim Henson” exhibit. Houses a 120-seat theater where kids can create their own plays, costumes, and set designs. Features the “Step Into the Past” exhibit, where kids can watch a bee colony, sit on a porch swing, use a grinding wheel, beat carpets, and wash clothes by hand. Produces an online magazine in CDMedia.Studio, where kids can also learn computer graphics and make a movie. Offers an environmental study program in which students perform authentic scientific tests of the local water quality. Encourages children to create a two-dimensional flap map of their head in the “Map Your Head” exhibit. In 1998, Children’s Discovery Museum of San Jose invited developmental psychologists from the University of Santa Cruz to videotape the interactions of parents and children in the museum’s “Current Connections” exhibit, which focuses on energy. “To our great surprise, the researchers told us that parents were three times more likely to cue boys on science content than girls,” says Marilee Gandelman Jennings, director of development. The museum decided to keep the psychologists around, making it the only children’s museum in the country with an ongoing university partnership. Their latest project: testing the prototype of the museum’s new “Alice in Wonderland” exhibit, which opens in full swing this month. Features a barn where kids can dress up like a farmer in a pair of overalls and brush, groom, and milk life-size fiberglass cows Gertrude and Melba Sue. Operates the award-winning “First Feats” exhibit for kids under 5; highlights include playing a tune on a giant thumb piano and unearthing a dinosaur skeleton. Gives kids real tools to dig for dinosaur fossils. Hosts overnight stays for children ages 8 and up complete with a flashlight scavenger hunt. Offers a Shadow Room, which lets children freeze their shadows on a phosphorescent wall. Located in a 102-year-old building, Madison Children’s Museum took a great deal of inspiration from the area’s extensive history as a farming community to develop — and constantly improve — its facility, exhibits, and programming. “We wanted our museum to reflect the region’s natural beauty,” says executive director Karen Dummer. “Many of our exhibits are hand-crafted out of natural materials by local artisans.”The most extraordinary ones: “First Feats,” a tot area made entirely of nonsynthetic materials such as wood, stone, straw, clay, sand, and cotton. Even the toys in its infant section are all-natural. Across the museum, the “Let’s Grow!” exhibit teaches kids about organic gardening, sustainable agriculture, and nutrition. Children can plant and harvest crops, shop for produce at a farmers’ market, and make a smoothie. Follow Sam and Sofia on a Road Trip Across the USA!